Was Stephen A. Smith “Blaming the Victim”? ESPN’s Stephen A. Smith has been suspended by the network for a week following comments he made concerning domestic violence. Smith has been accused of “blaming the victim”–attributing violence exclusively to the wrongful behavior of the victim rather than to the perpetrator. Is that what Smith did? Let’s take a look. What I’ve tried to employ the female members of my family–some of who you all met and talked to and what have you–is that let’s make sure we don’t do anything to provoke wrong actions, because if I come–or somebody else come, whether it’s law enforcement officials, your brother or the fellas that you know–if we come after somebody has put their hands on you, it doesn’t negate the fact that they already put their hands on you. The word at issue here is “provoke”. If Lucy provokes Bob into violence, the implication seems to be that Lucy has done something that has caused Bob to become violent, something that was the proximate cause of Bob’s violence. The story goes that if Lucy had not engaged in the provoking behavior, Bob would not have become violent. A moral lesson is thus drawn–Lucy (and other people in similar circumstances) should avoid engaging in the kind of behavior that makes other people want to hit them. This line of argument is very upsetting to people because it can easily seem that Lucy is being blamed for Bob’s behavior, that Lucy is being made responsible both for herself and for Bob while Bob is treated as though he is without self-control. But is that what’s actually going on here? We should note that the full phrase Smith uses is “provoke wrong actions”. This indicates that Smith believes the perpetrator is wrong, that Bob can be wrong even though he has been provoked. This muddies the “blaming the victim” critique we’re hearing leveled at Smith. Smith is not saying that Bob’s actions were justifiable, yet he says that potential victims should take care not to provoke potential perpetrators if they anticipate that the potential perpetrator may turn violent. Is this a contradiction? How do we square it? Potential Perpetrator Given that I will sometimes be tempted to use violence, what should I do? No matter how provoked you feel, you should never engage in domestic violence. Potential Victim Given that unreasonably violent people exist, what should I do? As far as you are able, you should avoid encounters with dangerous people and avoid triggering their unreasonable violent tendencies. The State Given that unreasonably violent people exist and that others will trigger their violent tendencies, what policies should I enact? You should deter violence with punishment, socialize the next generation to be less violent, rehabilitate existing violent people insofar as you are able, and educate potential victims on how to best avoid coming to harm. 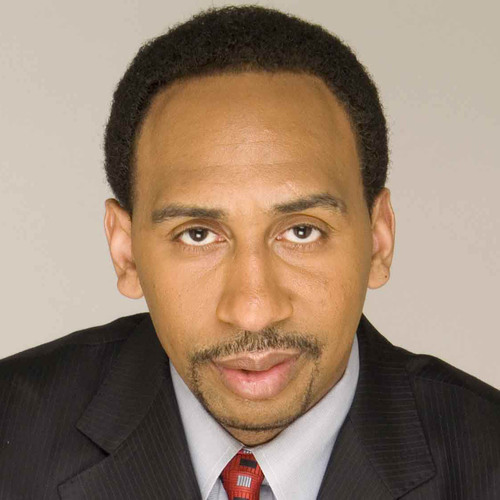 Stephen A. Smith was talking about what he advises “the female members” of his family to do–those he deems the potential victims of violence. Smith is talking to them in the context of a world that contains unreasonably violent people and a state that has not yet been able to deter, socialize, and rehabilitate those tendencies away. Smith recognizes that often times he will not be physically present when the domestic violence takes place and can only do something to physically protect the female members of his family after the fact. In this social context, if Smith wants to minimize the risk that potential perpetrators will “put their hands on” his family members, Smith needs to influence the behavior of one or more of these three groups before the violent incident occurs. Smith may not know the perpetrators personally beforehand, and even if he does, he may fail to anticipate that they are indeed potential perpetrators. But even if Smith says to every man his family encounters, “never put your hands on my family members, that is never okay,” he still cannot be certain that his words will change the behavior of these men, whose violent tendencies may be very strong. Smith has limited influence over what the government does, and even if the state does everything right to minimize the number of people with unreasonably violent tendencies going forward, there is still the existing population of unreasonably violent people to contend with. The only group Smith can categorically persuade to behave in a manner that minimizes the risk of violence is his family members themselves. With most crimes, when we advise people, we recognize the limitations of our influence. We all uniformly recognize that muggers are wrong to mug people. Yet we also recognize that no matter how many times we may say “don’t mug people, that is not okay”, there are still some people who are going to commit muggings. When we talk to our family members and friends who we worry might be the victims of mugging, we advise them to take certain precautions–don’t walk down the street alone at night, don’t flaunt your wealth in public, and so on. This is not because we necessarily think there is anything morally wrong with walking down the street alone at night or flaunting wealth, but because we recognize that it increases the risk that someone we care about will come to harm. We would like to live in a world where no people were inclined to commit muggings and everyone could walk around alone at night flaunting their wealth without worrying about being mugged. But we do not live in that world, so in the meantime, we advise people to take precautions. This does not mean we are not committed to trying to progress to that world–we may try very hard to discourage people from mugging and may use government policy to better deter, socialize, and rehabilitate potential muggers–but in the interim, we also advise people to take precautions. It’s easy to confuse this with “blaming the victim”, because someone who blames the victim speaks exclusively of what the victim should do differently and never bothers to advise perpetrators and governments to change their behavior, because he holds the victim responsible. Many well-meaning people do not bother to talk about how perpetrators should change their behavior because this seems too obvious to mention–obviously you shouldn’t mug people, obviously you shouldn’t commit domestic violence–and as a result appear to be blaming the victim when their hostility to perpetrators is merely omitted rather than absent. In any case, it is very possible to advise potential victims to take precautions while simultaneously being thoroughly committed to changing the behavior of perpetrators and governments. If our goal is to minimize the risk of domestic violence as much as possible as quickly as possible, it is irresponsible not to engage with all three parties that have influence over what happens. Those who quickly label efforts to advise potential victims on how to minimize their risk of being the victims of violence, mugging, or other crimes “blaming the victim” are prioritizing the blame game over eliminating the problem and reducing the incidence of these crimes. It is very possible to wholeheartedly believe that it is always wrong for people to commit domestic violence, mugging, or other crimes while simultaneously advising the people you care about to take precautions because we as yet live in an imperfect world. From what I can tell, that’s all Smith was doing, and there’s nothing wrong with that.